Some places believed to have been sources of gold have mysterious stories attached to their existence, as no one could exactly give a precise account with regard to where the gold deposits attached to them where located. Such was the case with the Blue Bucket Mine of Oregon. Most experts do agree on one thing. The story of the Lost Blue Bucket Mine is likely true. While many lost treasure "tales" are probably more fiction than fact, there are many who are certain that the accounts of the Lost Blue Bucket are likely true. Let’s explore the account of this mysterious mine below. 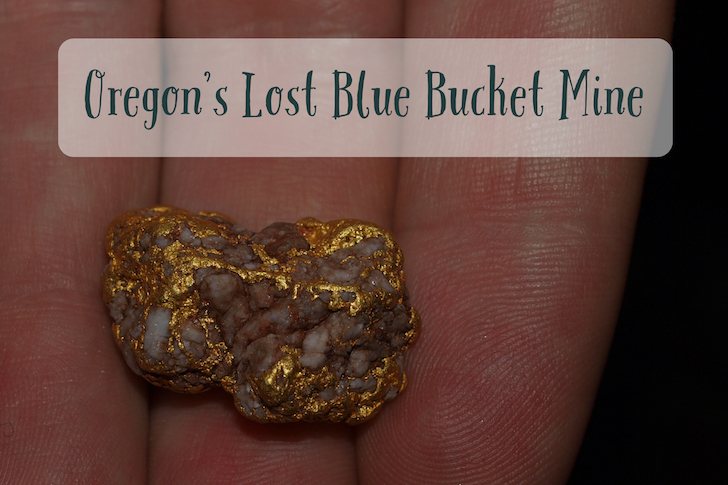 The Blue Bucket Gold Mine is a mine that is believed to be situated in the area along the Meek Wagon Train trail that is found between the towns of Vale and The Dalles today. The trail goes through an area known as the Blue Mountains, which later became known for its rich gold deposits. The story of the Blue Bucket Mine is began way back in 1845. And ever since that time, several stories have been told with regard to how gold was discovered. But despite the different versions of the stories told, it has not stopped people from searching further to know the exactly truth of what transpired back then. Among the different versions of the stories told about the Blue Bucket Mine, they all attest to the fact that there was a wagon train that went off the Oregon Trail in the vicinity of the Malheur River. Then there came a point when the travelers decided to camp somewhere for the night. They were crossing the hot, dry desert of Eastern Oregon and needed water for their long journey ahead. With the river nearby, some children were sent out to fetch the water while the adults remained behind at camp. The children took a blue bucket to recover water from the river. While they were there, they noticed some shiny little golden rocks along the edge of the water. The children collected a bucket full of rocks and brought them back to camp to show the adults. Upon arriving at the camp, when the older people who had remained behind saw the rocks and were mildly interested by the unusual rocks the children had found. Unfortunately, no one among them had any knowledge of mining and could exactly tell what the rocks brought by the children were. They guessed that maybe the rocks were perhaps copper. It is also important to note that, this is the time when very little was known about gold. These were settlers, and it was prior the the discovery of gold in Oregon. In fact, the California Gold Rush had not even occurred yet, so people simply weren't thinking about gold. They kept a few of the rocks, but made little effort to remember exactly where they were at the time of the discovery. By the time it was revealed that the children had actually stumbled upon real gold nuggets. Most accounts say that they discovery was made when they finished their long journey and arrived in The Dalles. Other accounts say that it wasn't until several years later until after the California Gold Rush that the nuggets were identified as real gold. Perhaps not surprisingly, none of the people who were on the wagon could recall exactly where the gold nuggets had been found. They had traveled for hundreds of miles across deserts and forest, and they had little interest of the gold nuggets at the time they were discovered. None of them could recall exactly where they were. Eventually, the areas believed to have been the locations where the gold nuggets were found attracted the occurrence of a gold rush. Nearly 20 years after the children collected those shiny rocks in their blue bucket, gold was found in an area that would come to be named the Blue Mountains. 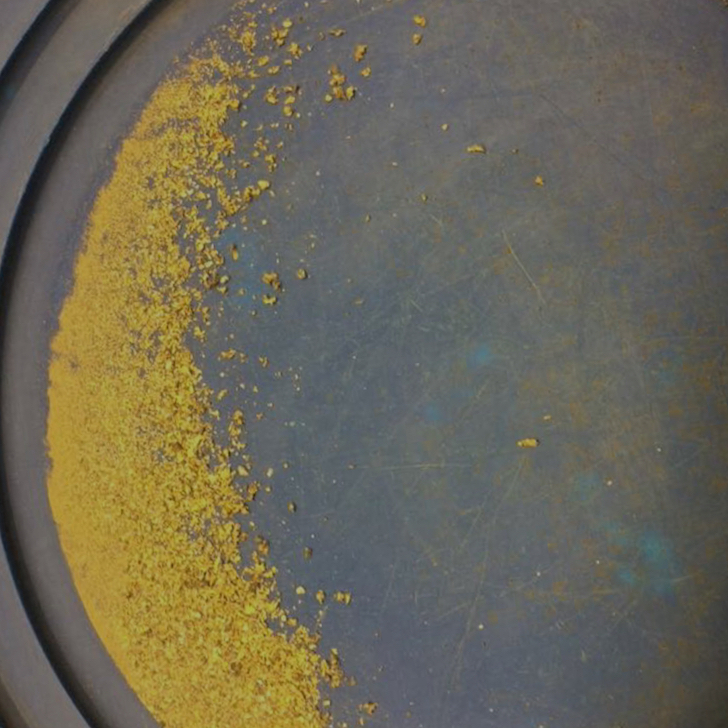 Rich gold strikes were made in a large area of Eastern Oregon including the towns of Sumpter, John Day, Canyon City, Greenhorn, Auburn, Sparta, and Bourne. Over the years, no one could locate the exact location believed to have been the first source of the gold nuggets in Oregon. An area between Vale and The Dalles would cross right through some rich gold country, so they easily could have been anywhere. Many people have searched for the location that the children found those first Oregon gold nuggets, but we will likely never know for certain.